NORTH BAY — Tracy Hunter got more than what she expected when she went shopping at the Treasure Hunt Sunday. 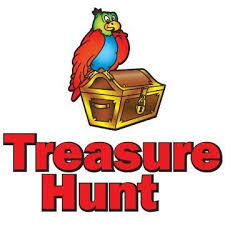 Located in the North Bay Mall, the Treasure Hunt deals in selling goods left over from store closeouts, overstocks, and bankruptcies, along with customer returns. How over two pounds of raw Uranium-235 found its way onto the shelves is a mystery. While the NRCC is investigating the incident, Tracy Hunter says she still has the unrefined uranium chunk. What’s more, she says she’s very pleased with her stop at Treasure Hunt.